Team Reptile has announced that Lethal League Blaze will release on Nintendo Switch, their an intense, high-speed anti-gravity ball game. In Shine City, the game has been illegal for a long time. Those that chose to keep playing were called the Lethal League, and even though their sport has been pushed underground players and crews compete for challenge and respect. You must beat your opponents with the ball to win, manipulating it to get the perfect angle while using your character’s special moves to catch them out. Every strike that you make speeds up the ball to shatteringly extreme velocities, and you can tag it with your colour. With single-player modes that are perfect to practice in, you can then compete with up to four players locally or online. 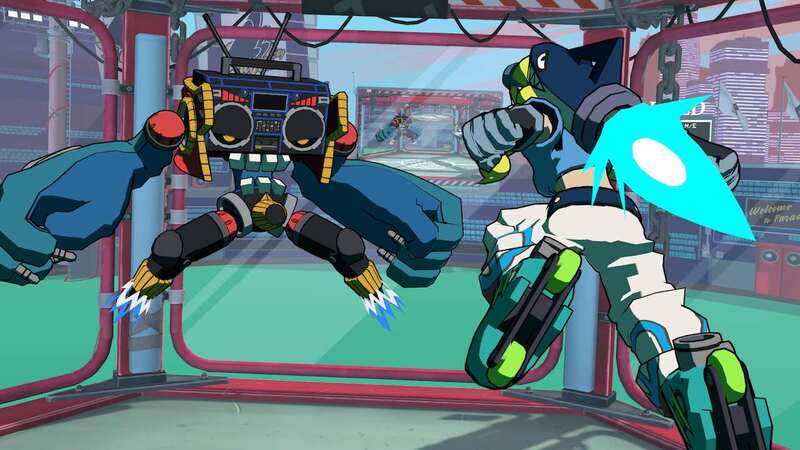 The breakbeat, hip-hop and house soundtrack rounds out the experience, which Jet Set Radio composer Hideki Naganuma, Frank Klepacki, Pixelord, Bignic and Klaus Veen have contributed to. Lethal League Blaze will release on the Nintendo eShop for Nintendo Switch worldwide in Spring 2019.